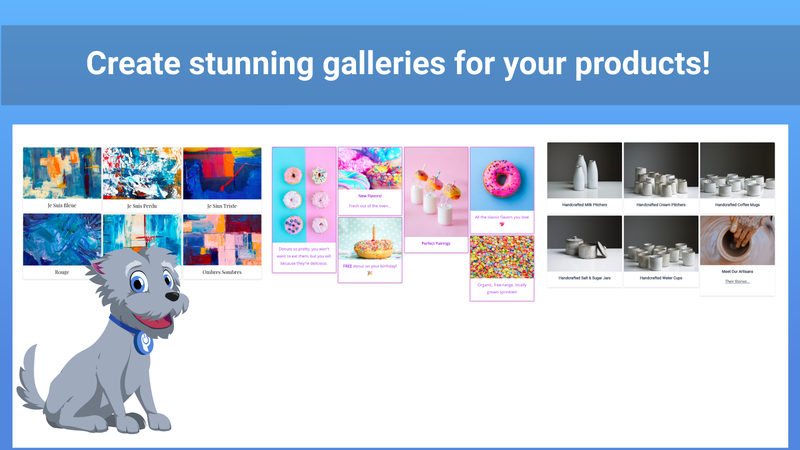 Use Gallery to make your product and company images come to life with a beautiful Pinterest-style gallery. 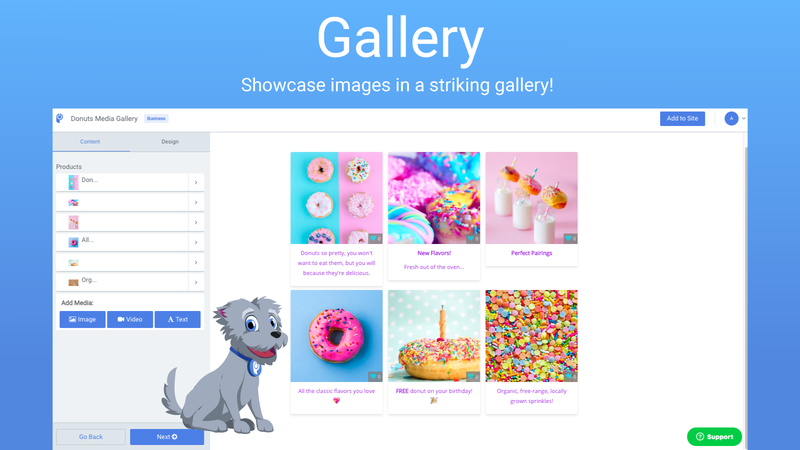 Easily upload photos, embed videos, add titles and text, and use call-to-action buttons to create beautiful product grids, press galleries, team pages, and user testimonial sections. 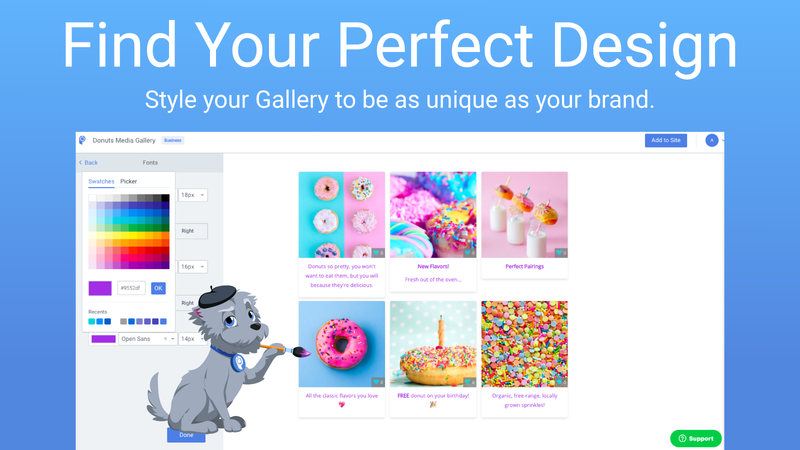 Enjoy highly customizable design: adjust spacing between entries, choose ideal photo size, add borders, pick custom fonts, and more. 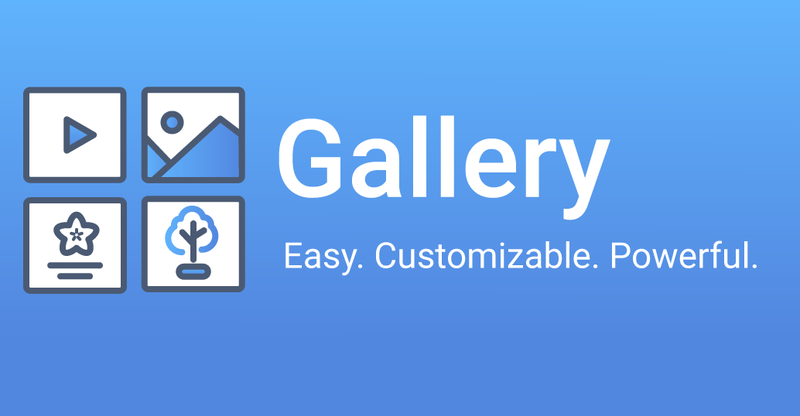 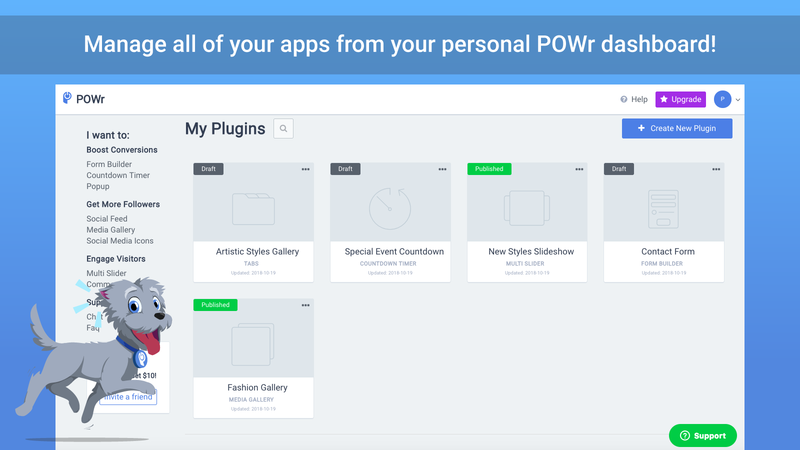 In addition, POWr Gallery supports text in any language and is mobile responsive on any device.